Early in March 2013 we in London were blessed with a few warm, sunny spring days and since I work in a part of Central London which is close to some popular tourist sites in my lunch break I took the opportunity 'see the sights' myself. I took my camera with me, and below are a few images which may be of interest. These were filmed on two consecutive days, which explains the slightly different cloud pattern. 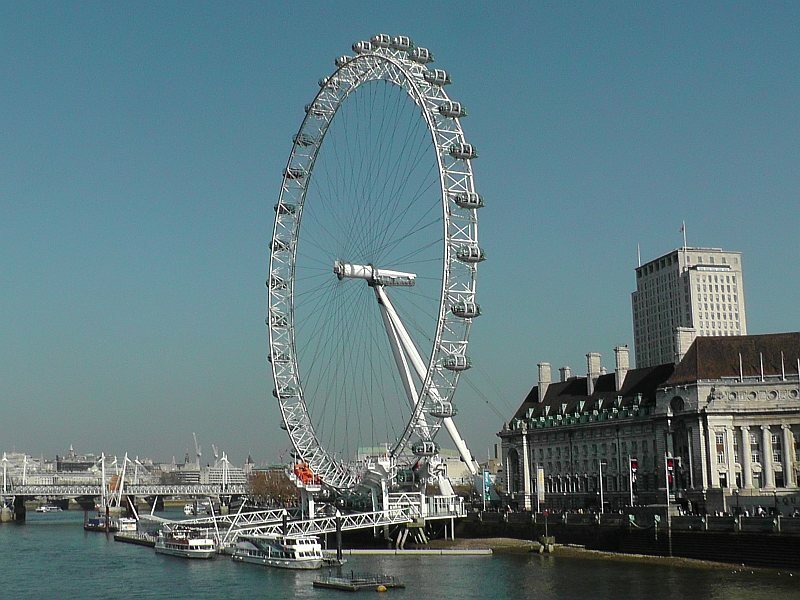 Since the year 2000 one of London's most popular visitor attractions has become the London Eye ferris wheel. This is on the southern side of the River Thames, very close to the Waterloo area, which is well known for its very large railway station and also where I work. Also close by is Westminster Bridge and the Houses of Parliament, which is the seat of the British Government. 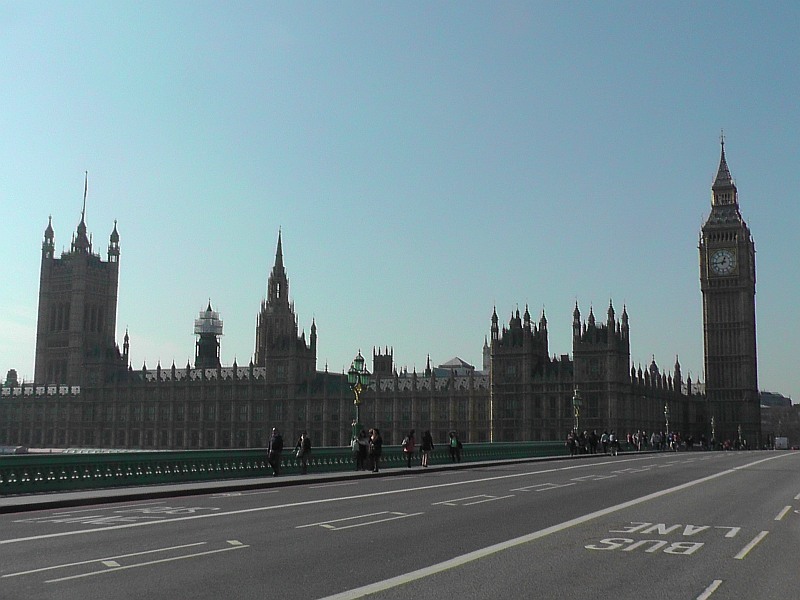 This first image shows the Houses of Parliament as seen from Westminster Bridge. I think the direction of the sun was not ideal for this image, but thats how it was when I was there so I had to make do with what I had. 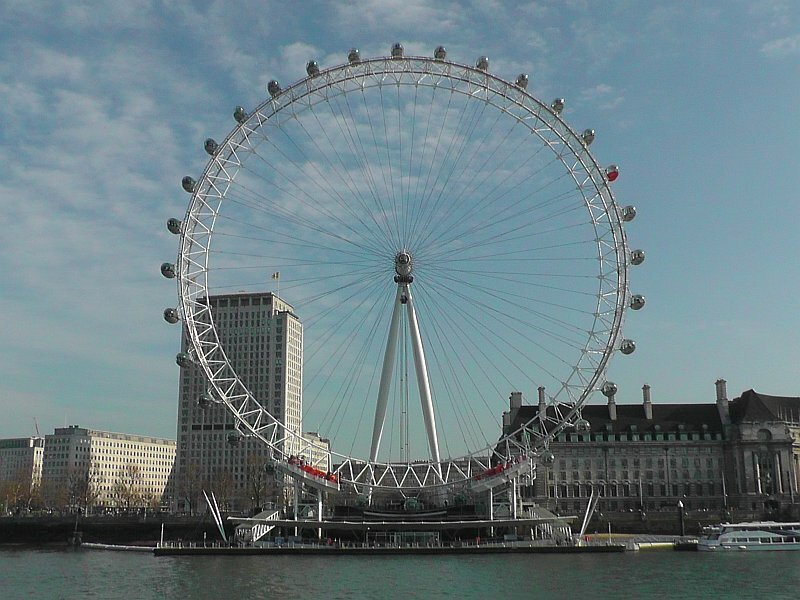 This view shows the London Eye as seen from the opposite (northern) side of the river. Because of the longer walk sourcing this image made me take longer than the allotted 30 minutes lunch break, but this was 'worth it', and resolved without me experiencing any trouble. 30 minutes is rather short for a lunch break, but apparently this is normal for the NHS (National Health Service) which does seem to have a Dickensian attitude to how its staff should work. A three quarter view, as seen from Westminster Bridge. A side view, again as seen from Westminster Bridge. 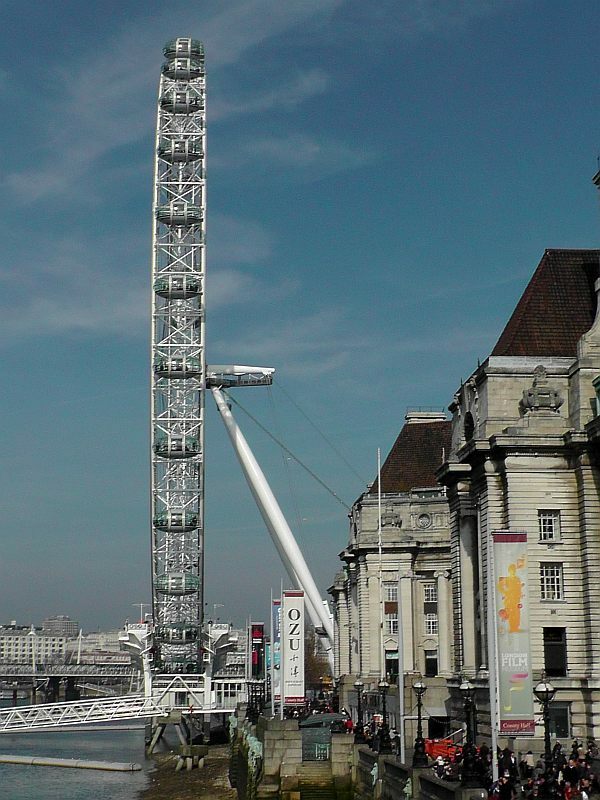 Finally, an attempt to film the London Eye from the 'land' side. The wheel however is so large that even a distance away I could not fit it all into one image. In addition the trees and some buildings partially block the view. 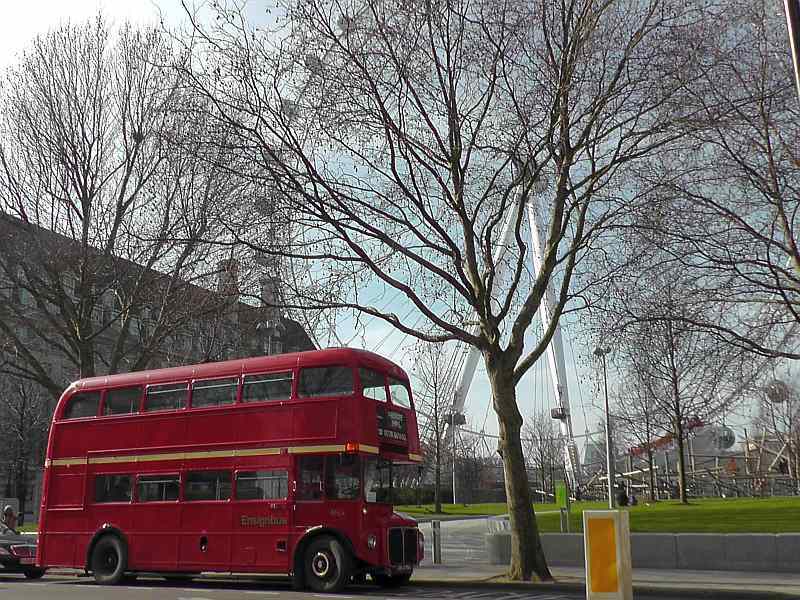 So, since it was there I also included another London icon in the view, this being a Routemaster bus which (I assume) was on a private charter. Ensign is a bus company which hires out modern and historic buses for charters, etc. I especially like that last image! Such memories from happy days in London.